Thank you for visiting the website of Peak Performance Chiropractic. In practice as well as online, our office strives for excellence through superior patient treatment, education and satisfaction. You won't find more comprehensive care anywhere in the 21074, 21157 area. 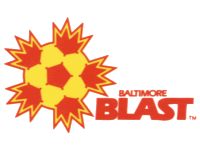 We are very honored and excited that the Baltimore Blast has chosen Dr. Bartel for the THIRD season in a row to take care of their staff and players. We offer MASSAGE THERAPY and treat auto accident injuries. We hope you enjoy the information within and share it with others. Again, thank you for visiting www.peakperformancemd.com and remember to come back often.